all you need in the "Enlish" folder. The Sunluxy C702 is sold around 43€ on eBay with a price in line with the old H502W. The camera comes with the usual accessories: a start-up guide, a power adapter, a mini-CD, but no network cable. The Mini CD contains a more complete documentation, some client software for PC, Android and iOS, plus a search.exe tool to locate your camera on the network. While not identical, the SL-C702 is a look-alike of Dericam H502W with a larger head. Another visible difference is the RS485 alarm interface at the back. This camera is mistakenly advertised as ONVIF 2.0 compliant, but its implementation is way too incomplete to work with Synology Surveillance Station. The Onvif Device Manager detects the camera but fails to read the complete profile. So it seems there's been some (aborted) efforts in that direction at least. 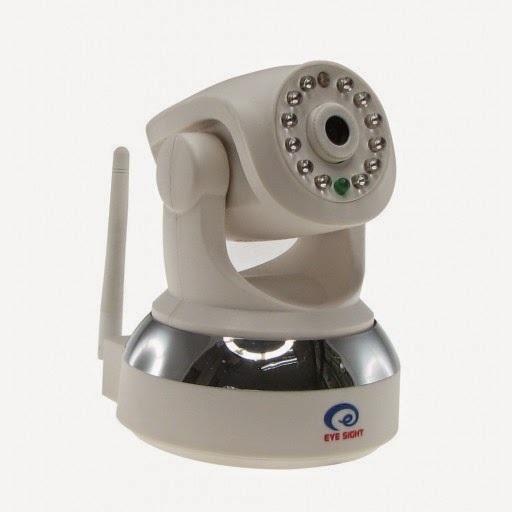 Alternatively, selecting a compatible product in the list, like Foscam FI8919W seems to work. The bad news is that using the videostream.cgi crashes the video server after a while and there is no picture streamed any more through the web interface or the rtsp channel! 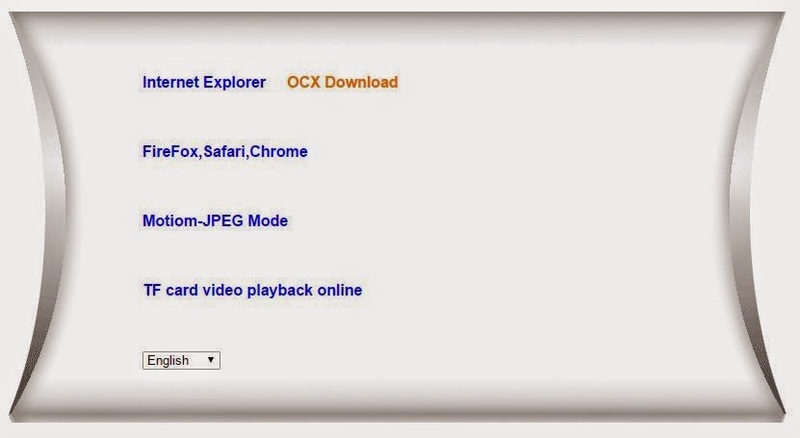 The main page gives the usual access to various kinds of browser, including the "mobile" static page and a SD Card access. Neither nice or ugly, the user interface is complete with IR lights controls and position presets. The firmware version reads as Device 30.5.1.0.62 and WebUI 1.0.0.10. There's room for improvement and you can see by the messy page sources that it is still a work in progress. The most annoying bug is that the first page does not retain the languages choice and always defaults back to Chinese. Audio quality: The microphone provides good sound but is very sensitive to interference from nearby electrical devices. The IR light is strong enough, but it's not automatic and does not remain activated. Despite being build on a good hardware base, the C702 is completely let down by the software part. The unstable video streaming, IR light not automatic, and Onvif non-compliance are significant show stoppers for me. There's little hope that Sunluxy wil provide any support with their unattended email address (reports "Mailbox full"), so don't expect a well-needed firmware update. - EyeSight ES-IP909IW using a different firmware line. I obtained a firmware from them and it cannot be used on the Sunluxy. - Owlvision O-E6811, sold by Gearbest uses a better firmware, similar to the E6830. I could upload this one on the Sunluxy but lost the PTZ function, so possibly a slightly revised hardware in those 'clones'. - Finally don't forget the Dericam H502W (aka EyeSight ES-IP902W, CyberNova CN-WIP604MW ) or its successor H503W. Home page defaults to Chinese, English needs to be re-selected each time. Owlvision O-E6811, sold by Gearbest uses a better firmware, similar to the E6830. Interesting. I'm curious what prompted you to buy this camera? On the face of it, there are no unusual features that might generate some interest. 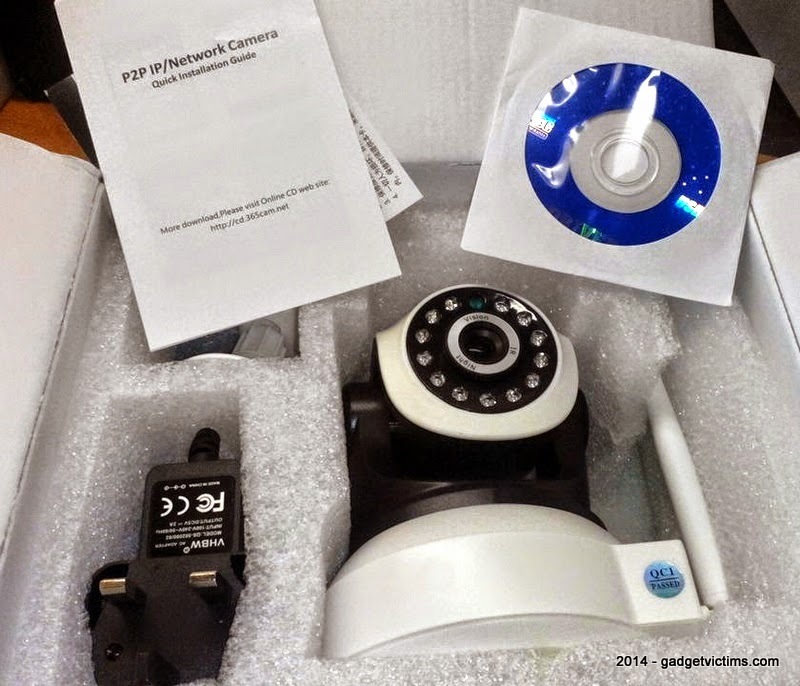 Actually, I bought this one as an Onvif IPC but it was incorrectly described by the seller. Luckily he's been honest enough to give me a 15£/19€ refund once he realized the mistake. So that's a 24€ mistake in the end. I also wanted to see how it compared with the H502W. At least Eyesight said they prepare a new firmware with onvif and bug fixes, so if that really happens, the camera might no be completely useless. If you want to be blown away by image quality, rich features, high quality software development etc you could blitz maybe 70£ or so on a Hikvision product like the DS-2CD2032-I. The first I've seen that sends ONVIF events. It even comes with a mini NVR which can write to a NAS volume. I'm in the process of swapping out my eclectic mix of 720p cams for 3MP Hikvisions, and have also purchased a Hikvision NVR (DS-7816N-E2/8P) which I'm hugely impressed with. A work in progress that will take a while, but be interesting. Actually about 54 GBP, the value above was supposed to be Euros. Noted! I will need to replace my AM-Q6320-WIFI at some stage, its angle is way too narrow. Yes, definitely avoid the Sunluxy or likes, it's more a warning than a review here. I even manage to obtain and install a firmare from Owlvision (O-E6811) and it still a lost cause. I believe that EyeSight is also from Maygion and he moved from ARM to MIPS in 2011 so it must be MIPS too. So totally is that good to used for 50.99$ with its feature..................? Where did you get the OwlVision firmware? 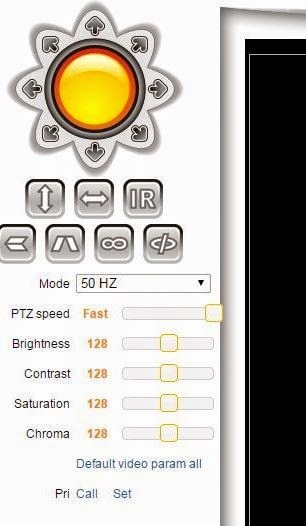 I'd like to test that out with my camera as I dont use the PTZ functions. What new features does it allow? Thanks for the firmware. It definitely does not work well with the Sunluxy camera. I tried updating the firmware and WebUI and everything looked like it was working (except PTZ, I pulled the motor plugs anyway) and the UI is definitely better and more polished. But, the camera quality dropped off. Especially in low light situations without IR turned on I think it may be the IR Cut Filter. I would definitely NOT recommend trying this to anyone. Not a good idea. What I really hope for is that someone will figure out how to remotely access the SD card while it is in the camera to download video files. That would save me time and effort. The built in options for web interface/phone app just dont make any sense. Actually they have release the new version of device firmware to be 35.9.9.0.111 (Old version is 33.9.5.0.102) and UI version to be 8.3.1.1 it fixed some problem like NTP function and increase video streaming much more stable but the problem now I can't find the link to download it. I can know about this because I got new IP camera with this firmware. I hope you guys I can find the link of new firmware and let me know too. I haven't been able to get the motion detection to work. (I have verified the e-mail is setup properly) but have not been able to receive any e-mails triggered by motion or any other alarms setting. If anyone has any information, I would sincerely appreciate receiving it. No news about firmware donwnload link ? Since Days i try to connect it to my Surveillance Station. Don't work! Foscam gives a test-Picture but disconnected the Cam when i save it. Can someone help me to connect it? Where can i get other Firmware and how can i load it on the Cam? Do you guys still expect a firmware upgrade on china products? Stop dreaming. China merchants only deals one time and ignore you on any support. If you want to buy again, they will wecome but if you bring up again the support stories, they will ignore you again. Face it, this is china way.